Whether you love her or hate her, Kali will most likely return in the third season of Stranger Things. 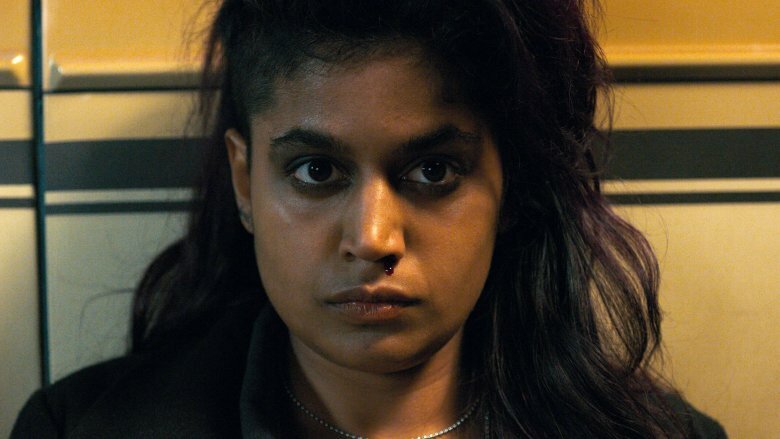 Deadline reports that co-creator Matt Duffer hinted at Vulture Festival L.A. that we haven't seen the last of the character played by Linnea Berthelsen in the most divisive episode of Stranger Things 2. "It feels weird to me that we wouldn't solve [Kali's] storyline," Duffer said. "I would say chances are very high that she comes back." Kali appeared in "Chapter Seven: The Lost Sister" during season 2, the first episode of the show that takes place away from Hawkins, Indiana. While Demogorgons are at the doorstep, Eleven (Millie Bobby Brown) takes a road trip to Chicago in search of a mysterious girl from her mother's memories. It turns out to be Kali, otherwise known as Eight, another former test subject from the Hawkins Laboratory. Kali has developed the ability to create illusions inside the minds of others, and instead of using her powers for good, she and her gang are on a violent mission to punish those who imprisoned her as a child. She helps teach Eleven how to focus her own powers, and she's also responsible for Eleven's new goth look. Not everyone was a fan of the episode. Honest Trailers said it "completely derails the show's narrative momentum." But producer Shawn Levy defended the episode. "Whether people love or don't love episode seven, we always knew the [Duffer brothers] wanted to try something bold," he said. "It allowed Eleven to learn about her powers and gain more–which we need for episode nine. Her going away makes that return at the end of episode eight so powerful." Netflix hasn't officially renewed Stranger Things for season 3, but it's almost a certainty. Ross Duffer teased, "We are [in] very early days on season 3 and we're still figuring it out. I probably wasn't supposed to say that. That's not official, that wasn't an official announcement—we're just working on it, just for our own amusement. For fun!"